And As Flexible As Excel. Smart followup suggestions ensure that you never miss a lead again. They can double click any field to make changes. And save all changes in 1 click. and it will show up in followups. Smart followup suggestions. So you never miss a lead again. 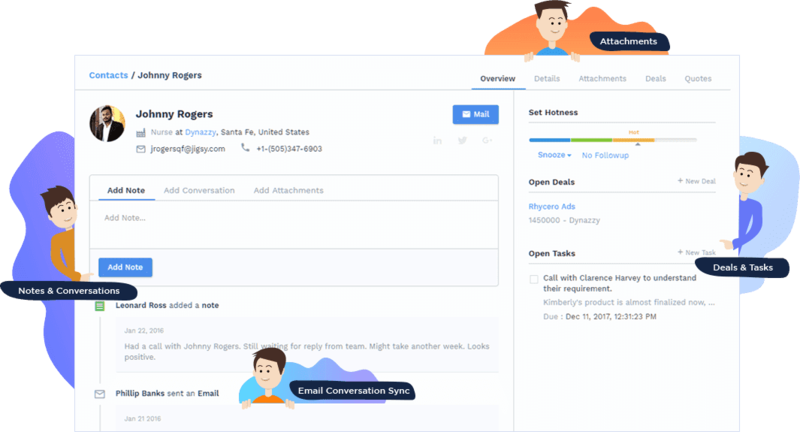 CompanyHub reminds you of contacts you need to followup. Just set hotness indicating how often you would like to stay in touch. Whenever there is lack of communication, you will automatically get a followup reminder. Track any information like geography, industry, size etc using custom fields. You can use them in:. You can also associate different records, like associate Deal with Contact, using custom fields. You can also group fields in sections, reorder / hide fields and change columns.